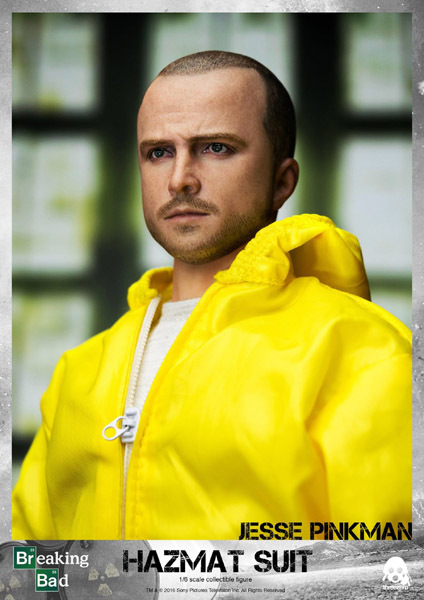 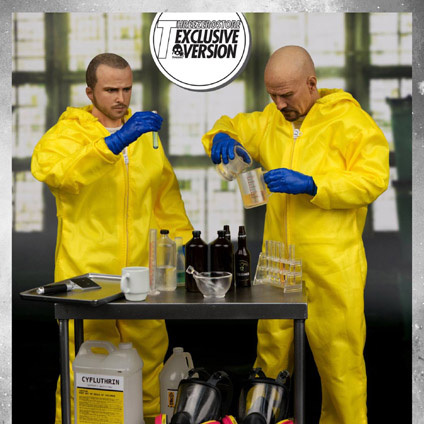 1/6th scale Breaking Bad Heisenberg & Jesse Hazmat Suit Combo will be available for pre-order for a limited time at www.threezerostore.com, starting from October 24th 9:00AM Hong Kong time. 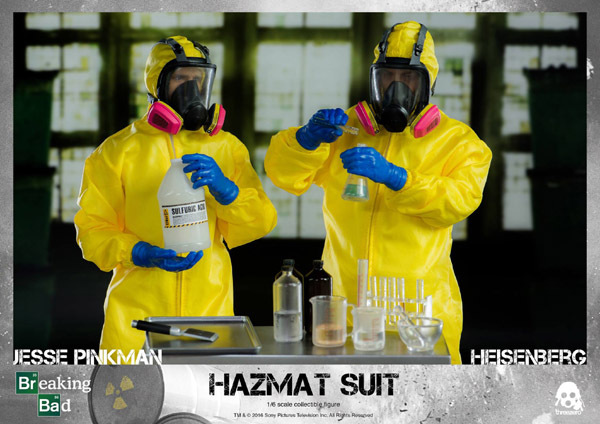 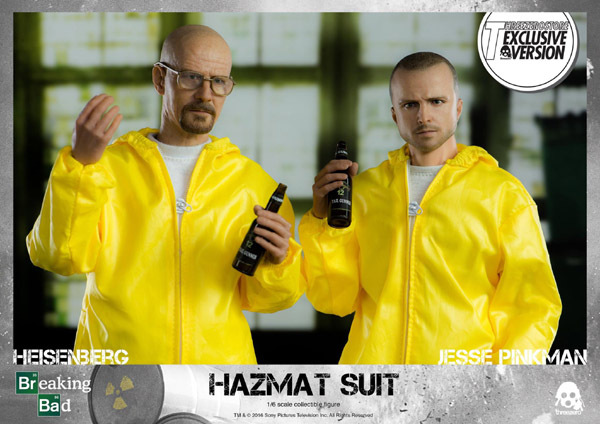 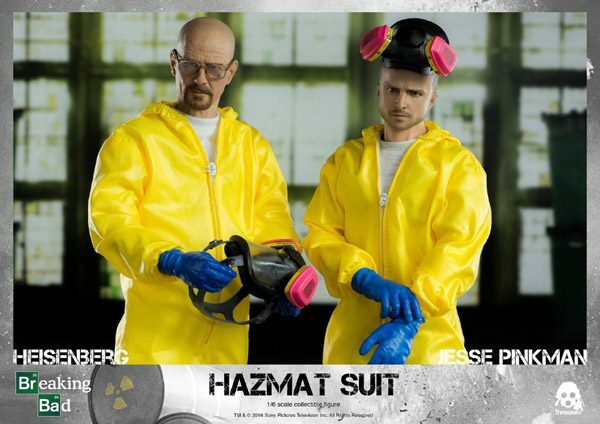 Heisenberg & Jesse Hazmat Suit Combo price at www.threezerostore.com is 320USD/2490HKD with worldwide shipping included in the price. 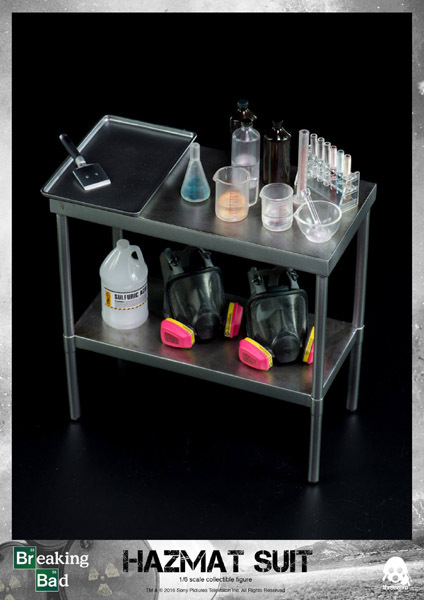 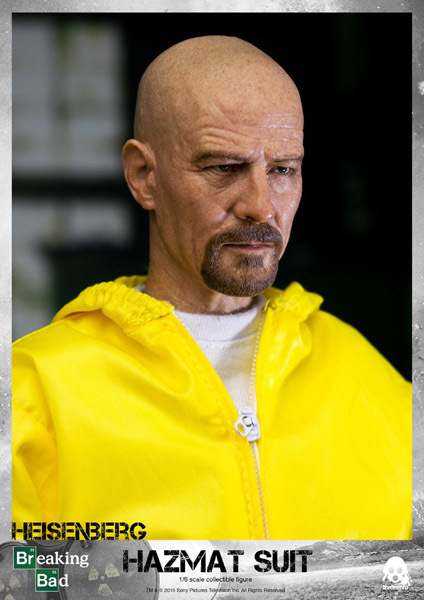 Breaking Bad Heisenberg collectible figure stands approximately 12.2” (31cm) tall and Jesse is 11.6” (29.5.cm) tall, both are featuring improved likeness to the characters portrayed in critically acclaimed TV series, including Hazmat Suits, Gas Masks, Lab Desk, and great variety of extremely detailed accessories to recreate cooking scene from the series. 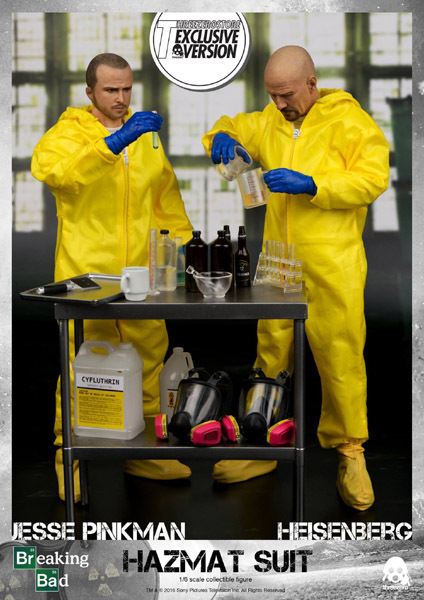 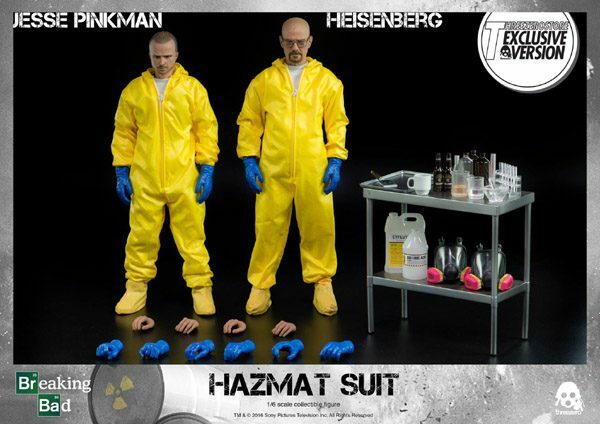 Breaking Bad Heisenberg & Jesse Hazmat Suit Combo purchased at Threezero Store comes with two pairs of Ungloved Hands, two Beer Bottles, Mug and Square Chemical Container as the exclusive accessories.